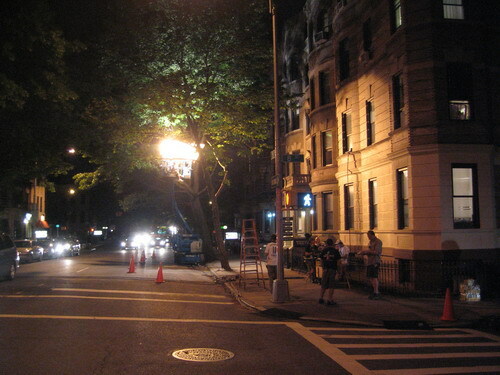 As noted, Diminished Capacity was shooting at Eighth Avenue and Eighth Street in Park Slope yesterday. Here are a couple of shots, though we didn't catch the thick of the action or any make any celeb sightings. No Matthew Broderick. No Virginia Madsen. But it did look like a nice catering setup in the basement of St. Saviour's Church.